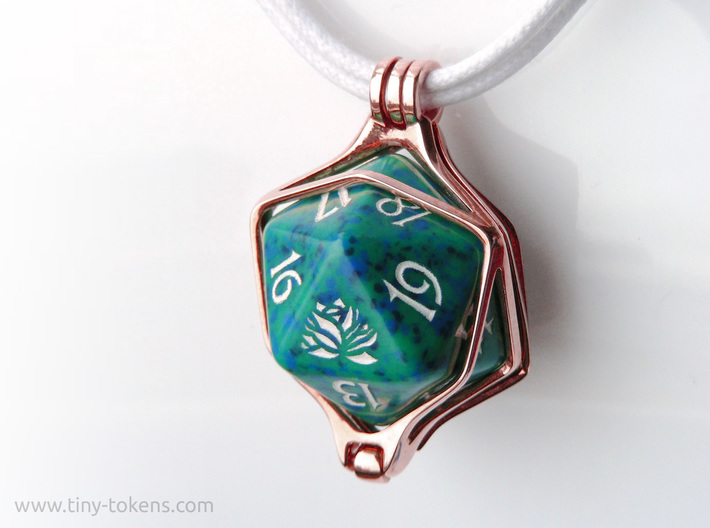 Ever wished you could wear your most beautiful dice as jewellery? Now you can! If you like dice, you probably have a few in your collection that you wouldn’t mind showing off more. 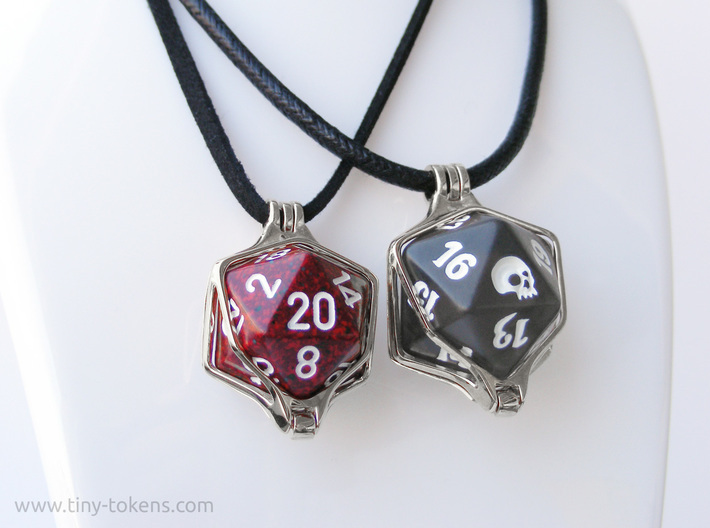 This pendant makes it possible to wear your favorite dice as jewelry instead of just keeping them in your dice bag. 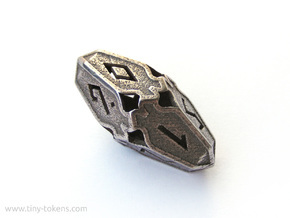 This pendants is sized to fit twenty sided spindown life counter die (not included) as used for card games such as Magic: the Gathering. 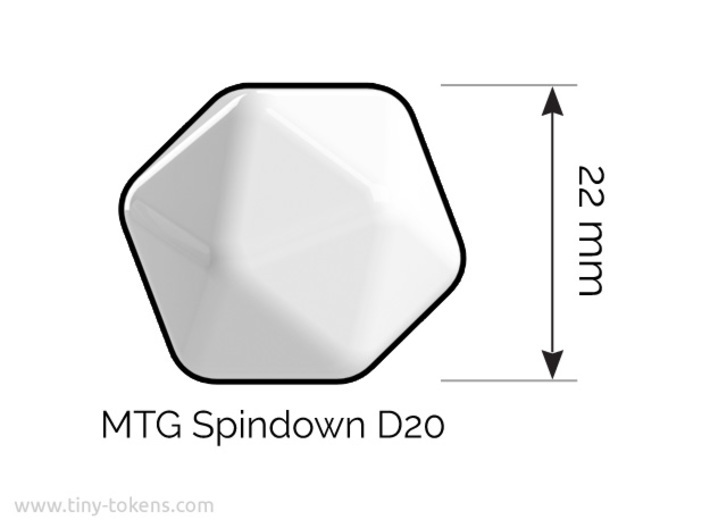 This type of d20 measures 22 mm (0.87") between two opposing die faces. 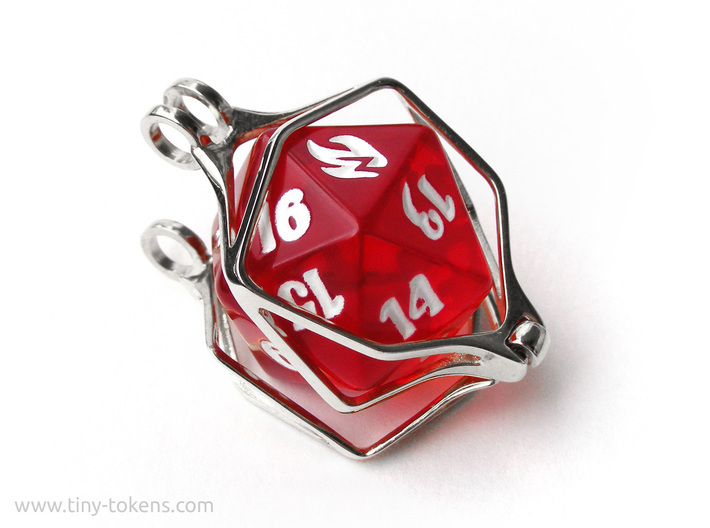 (A version of this pendant that fits a standard 20 mm twenty sided die, as used in tabletop roleplaying games, is available here.) 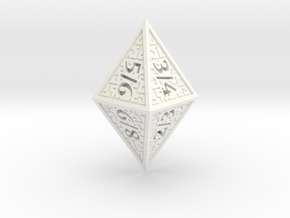 This design is intended to be used with dice with slightly rounded edges, and will not fit precission edged (hard edged) dice. 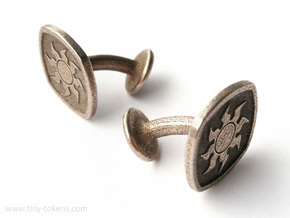 Please not that this is the brass and precious metals version of this design. A version that can be printed in different finishes of steel is also available in my shop here. This pendant comes in two pieces that must be hooked together at the bottom. 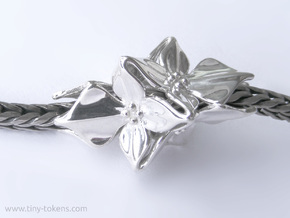 Once you insert your die and close the pendant the die should fit snugly and can’t fall out. 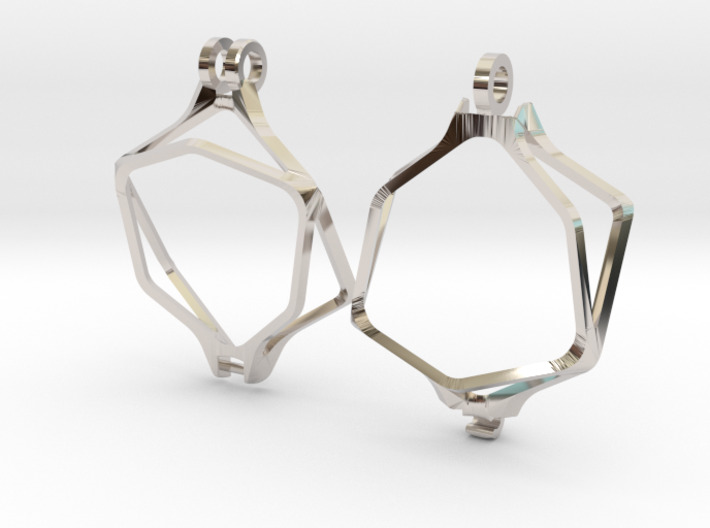 You lock the pendant by fitting a chain or cord through the bails (loops) at the top, connecting the two halves. Please make sure that you choose the version that fits the necklace or cord you want to use!